Its hard enough remembering “specials of the day” and “giving service with a smile” , but its even harder when your feet are killing you. The Chef line was Designed for comfort and safety when spending long hours on your feet on wet and slippery floors . 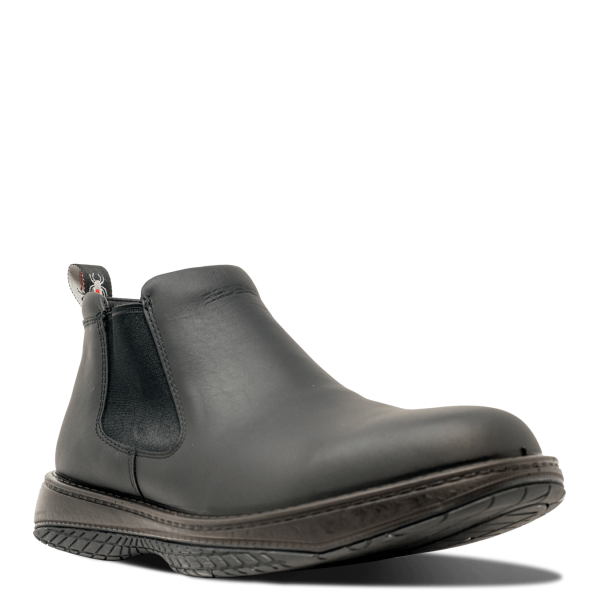 This 5” inch shoe was tailor made for the service industry utilizing advanced slip resistance technology that exceeds international standards by 40%. Protec Nappa leather uppers provide extreme water ,grease and spill resistant features to keep your work shoes going in the fast paced kitchen environment. Included is an antimicrobial footbed that promotes amazing underfoot comfort and hygiene.